Posted December 27, 2011 by Norburn Lighting and Bath Centre & filed under Bathtubs, LED, New Products, Showers, Tips and Advice . Vedana® invites you to rediscover your essential self in the comfort of your own home. What could be better than having your own spa in your own home? 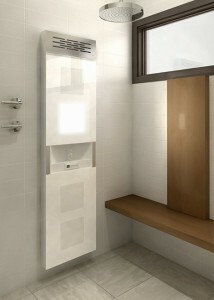 The Vedana spa shower system from Bain Ultra makes it possible to enjoy five different therapies! Promoting sensations of mental and physical well-being, the Vedana offers terrific therapeutic benefits, with proven technologies like chromatherapy, sound and light therapy, aromatherapy, as well as BainUltra’s high performance Thermotherapy systems! Hydro-thermo massage expertise combined with the Vedana system make for an experience like no other. You can experiment with the therapies, until you find the perfect combinations to sooth, refresh, relax or invigorate at any time. Coordinate the spa shower with your own style by choosing one of four different colors: White, Biscuit, Mexican Sand or Sandbar. These experiences were created to guide you toward a change of mood, a journey of the senses. Each of the stations on your voyage can be enjoyed on its own or combined with the others to go deeper into the experience. Every day is unique, so we made Vedana flexible to adapt to your needs. Because it’s your journey. Salome Fixture Collection from Riobel. 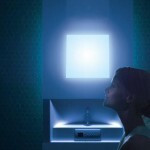 Posted June 28, 2011 by Norburn Lighting and Bath Centre & filed under Bathroom Sinks, Bathtubs, New Products, Showers, Trends . The Salome collection of faucets from Riobel is inspired by the eponymous work of art from famous British illustrator Aubrey Vincent Beadsley, a leading figure in the Art Nouveau movement. In Harmony with this artistic concept, the faucets of Riobel’s SALOME Collection are based on the aesthics of curved lines. Due to their round profile and arched shape, SALOME products exude finese, refinement and elegance. 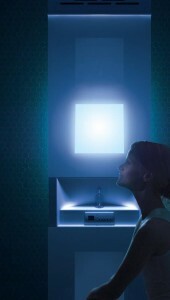 Abrand new and innovativec ollection of grandiose fixtures designed exclusively by Riobel. 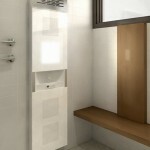 SALOME fixtures for stand-alone bathtubs are equipped with a hand shower for delicate rinsening. Their two built-in anti-splash nozzels soften and stabilize the water jets, providing these mixing faucets with a gentle and unique touch. The new SALOME collection represents the quintessential selection of modern faucets. Built with sturdy quality materialsand engineered with precision, its expurgated lines and feminine curves make this modern series a hallmark of softness. Turning on a SALOME faucet is reminiscent of an exotic cascading waterfall, deep in the forest where all is pure, a significant aspect of the wall mount components. German ceramic cartridges ensure durability and optimum performance. Designed for ease of installation, mechanical parts are easily accessible, making any maintenance can cleaning much more straightforward.